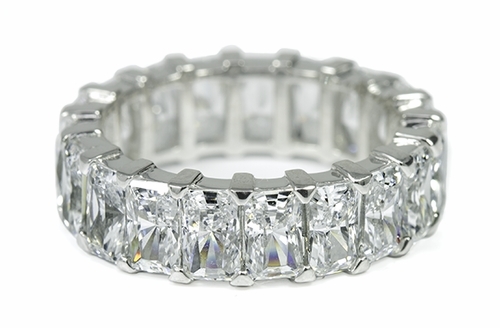 Our Sinclair Emerald Radiant Cut Cubic Zirconia Shared Prong Eternity Band features .50 carat each 5x3 mm each emerald radiant cut laboratory created diamond look cubic zirconia stones. The stones are set closely together and share a prong with the stone next to it in order to provide a minimalistic look of metal and accentuate the look of the diamond look stones. 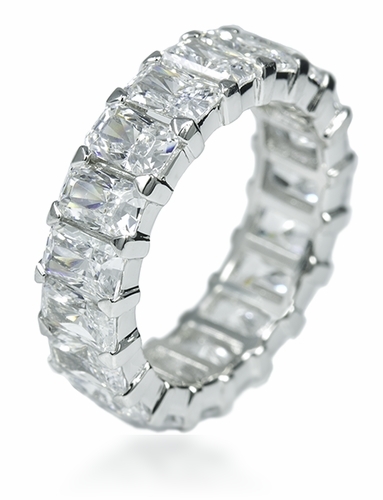 Each Russian formula hand cut and hand polished cubic zirconia emerald radiant cut stone features 104 facets. 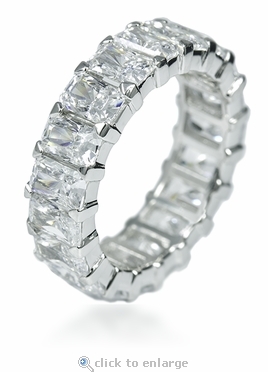 This style of ring is also referred to as an infinity band or and eternal band. Pair this emerald cut wedding band with a solitaire from our engagement ring collection or wear it as a single band that is stunning all on its own. 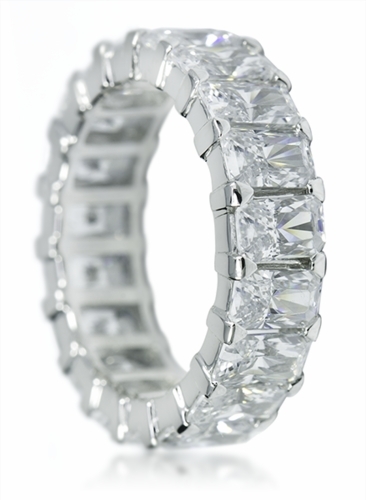 This eternity band is available in 14k white gold. Please call us directly at 1-866-942-6663 for options not listed or for further information about this item.